Today's Summer 1944 clippings from Grit focus on the news coverage of World War II. 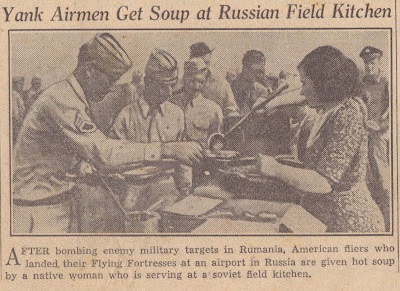 Above: Pvt. Charles Williams Peers Jr. of Louisville wins a contest sponsored by Eddie Cantor. Above: Injured Marine Sgt. 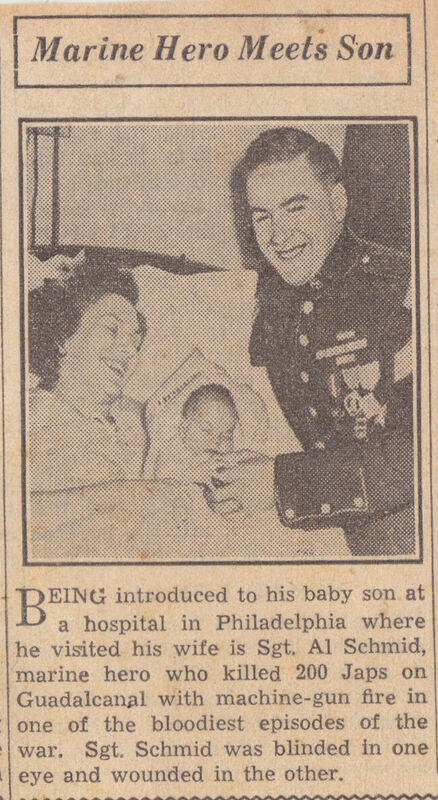 Al Schmid is introduced to his baby son. Above: "After bombing enemy military targets in Rumania, American fliers who landed their Flying Fortress at an airport in Russia are given hot soup by a native woman who is serving at a soviet field kitchen." 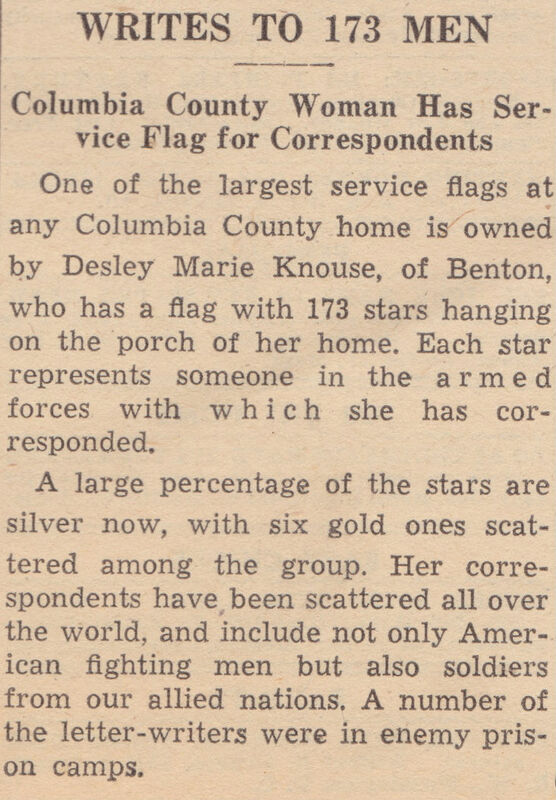 Above: An article documenting the great wartime letter-writing campaign of Desley Marie Knouse of Benton, Pennsylvania. 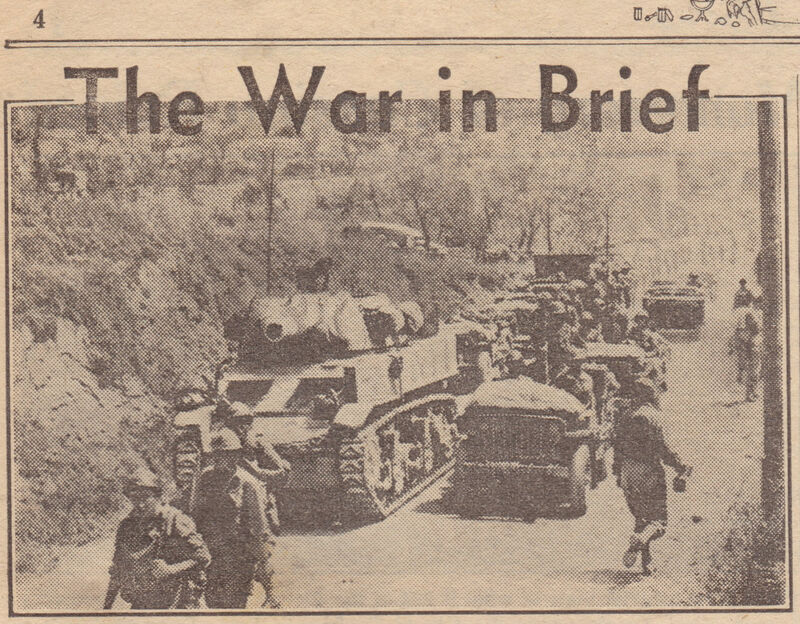 Glad to see photo/clipping re: Sgt. Al Schmid of Philadelphia, PA. See his story in the movie "Pride of the Marines." Thanks for posting the clipping.